Advertisement has long been recognized as an apparent tie between the seller and the consumer.The style and pattern of advertisements has been changing ever since the establishment of electronic media. It is also known as out-of-home advertising, is advertising that reaches consumers when they are outside their homes. Since most people spend 70 percent of our time outside the house outdoor advertisement is a tactical approach to influence them.It publicizes your business's products and services. 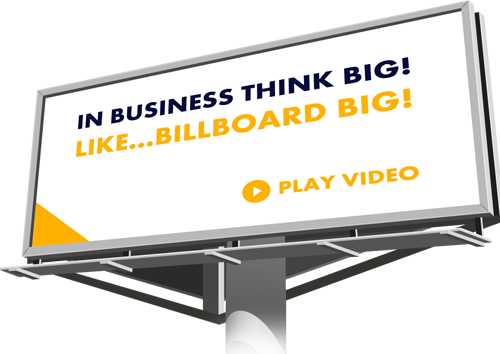 Types of outdoor advertising include billboards, bus benches, interiors and exteriors of buses, taxis and business vehicles, and signage posted on the exterior of your own brick-and-mortar location. Billboards are placed next to high-traffic highways as well as along less-traveled roads in non-urban areas. The location of the closest chain fast food restaurant on the route, the nearest motel, or campgrounds at the next exit is very important information for people who travel. So drivers see this less expensive and more effective advertisements almost everywhere on the roads. Street furniture’s including bus or park benches, bus shelters, news racks, and telephone kiosks are also powerful advertisers. Ads on the sides of busses are the most common form of transit outdoor advertising, but outdoor advertising is common in subway stations and within subway cars, in taxis, along airport walkways, and wrapped around vehicles – one of the newer trends. An advertiser pays for and has control over the message whether it is through print media or electronic media. It is a fact that modern advertising originated with the techniques introduced with tobacco advertising in the 1920s. Since then there has been a gradual change in the creativity and technology used in the field of advertisements. New strategies and methods were developed by popular advertising agencies. Outdoor advertising is considered as a mass-market medium, just like radio, TV, and cinema advertising. For this reason, it is mostly utilized for broad messages, support campaigns and branding. Outdoor is a staple of the media mix, as it reaches hundreds of thousands of people, by foot, mass transit, or car, and is usually very quick and impactful. Guerrilla advertising and Point of sale displays are two newly introduced forms ofoutdoor advertising.Make your outdoor tactics shareable, Look at the competition andMake your outdoor tactics shareablefor successful outdoor advertising campaign. Are you in search of the Best outdoor Advertising Company in Hyderabad? Then Aakruti is the finest choice. Aakruti Solutions, Famous outdoor Advertising Company in Hyderabad, gives you top outdoor advertising types in low costs.You can include crisp messages and thoughts which we will blend with our leading graphic designing technologies.It is not actually harder to grab the attention of an average customer when you display your ads in public places where a lot of people comes and goes. Aakruti being one of the Top outdoor Advertising Companies in Hyderabad gives you the fruitful opportunity to advertise your business in many ways.Our billboards are most effective though they are a little expensive and they used to reach a large audience. We provide sufficiently bright and conspicuous display notice to attract attention and sufficiently informative to let prospective customers know what's sold there.Thought, size, dominance, design, layout, visual element, typography, color and logo are some important features an outdoor advertisement should have. A striking and creative thought will make the consumers understand whatand how your product is. Powerful design and good arrangement is what makes ads more attractive and catchy.High level of visibility is required to increase the displays visual element. Product logo is something which captures the eyes of people who see an outdoor advertisement display. People who couldn't read the content will at least remember the logo representing your brand. Aakruti, one of the Best outdoor Advertising Companies in India brings all these elements together to get the best result. Be like a family with Aakruti, Famous outdoor Advertising Company in Hyderabad! Aakruti, one of the Best outdoor Advertising Companies in India brings all these elements together to get the best result. Be like a family with Aakruti. Top advertising companies in Hyderabad provides the newly featured types of outdoor advertisements like spectaculars, transits and digital.These companies deliver repeated exposures of your selling message to today’s highly mobile consumer. These Famous Advertising companies in Hyderabad can supplement and or compliment the strategic objectives of virtually any mixed media campaign.These ads deliver a mass audience, reaching all ethnic, income and demographic groups within the coverage area of a particular market.Thus it should have a blend of images and thoughts, conveyed through fresh and crisp phrases. Aakruti Outdoor Advertising Company in Hyderabad gives the best service of outdoor advertisements. We are there to give you top level products and satisfying customer service. Now it's the time to make your products the most loved and used. Get ready!